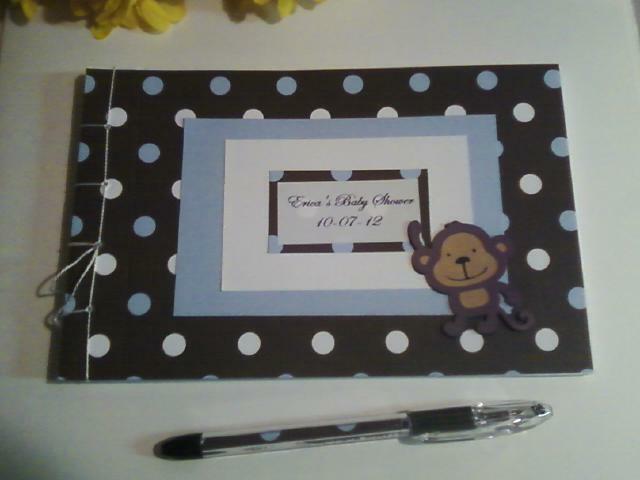 Today's book feature is a custom order that I completed last week. The shower is themed with dark browns and polka dots. I just happened to have a piece of this polka dot cover paper. Isn't it too cute? I think there is one more sheet of this cover stock in my stash. Inside are blank white card stock pages for attaching advice cards. I'm spending the day today with family, I hope you all have a great Sunday!